Add it to your existing process in minutes! Create a Name Page of name recordings for your class or course. Create a Directory of name recordings for your whole school or department. Easily create Name Pages from the Directory for individual classes or events. Unlimited Name Recordings. Unlimited Name Pages. Unlimited Admins. Contact us at [email protected] for pricing and details. As a user of Colorín Colorado, you can sign up today and immediately access our NameCoach web app for your classroom for free. Invite your students to record their name by sharing the ‘recording link’ that’s automatically created after you create a ‘Name Page’ for your class. Or upload an Excel file with their email addresses to send an automated email through our system, inviting them each to record their name. Review the recordings and know how to say every name even before the first day of class! You can also encourage your students to take it a step further and create their own NameBadges. After recording their name, they can upload a photo, and add the origin, meaning, and story behind their name. 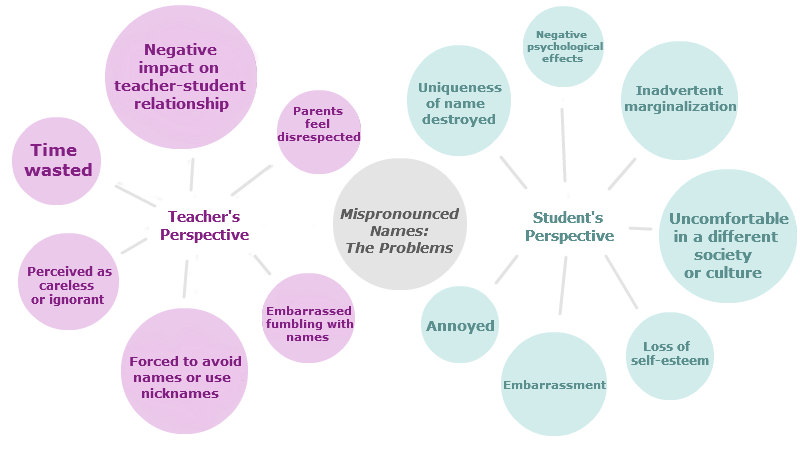 Have students share NameBadges so they can learn each other’s names, and learn more about each other’s background. Use it as an icebreaker on the first day of school! If you are interested in bringing NameCoach technology to your whole school or district, please contact us about getting a site or district license. We invest our resources in creating an ever-better platform for inclusive schools, and your support and suggestions are always welcome. Questions? Please check out our FAQ or contact us below. Click here to learn about our Commencement service!